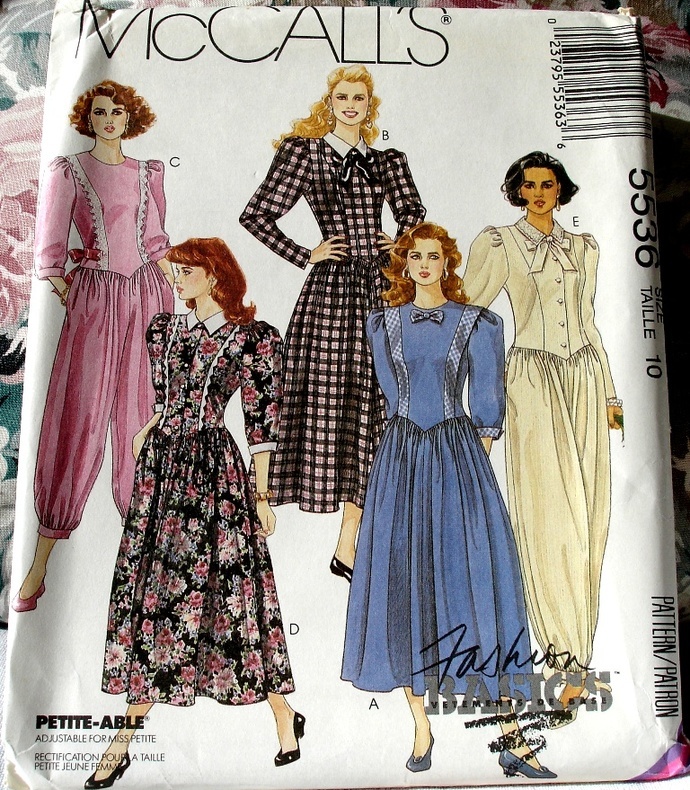 This pattern makes a set of dresses or jumpsuits that have semi-fitted dropped waist bodice with princess seaming, back zipper or front button closure; long sleeves or elbow length sleeves with turned back cuffs that have gathered cap with sleeve heads; attached gathered four gore skirt or gathered pants in two lengths and have side seam pockets. Sleeve Heads A thru E Organza. Note: All Garments not suitable for diagonals, large checks, even or uneven stripes or plaids. 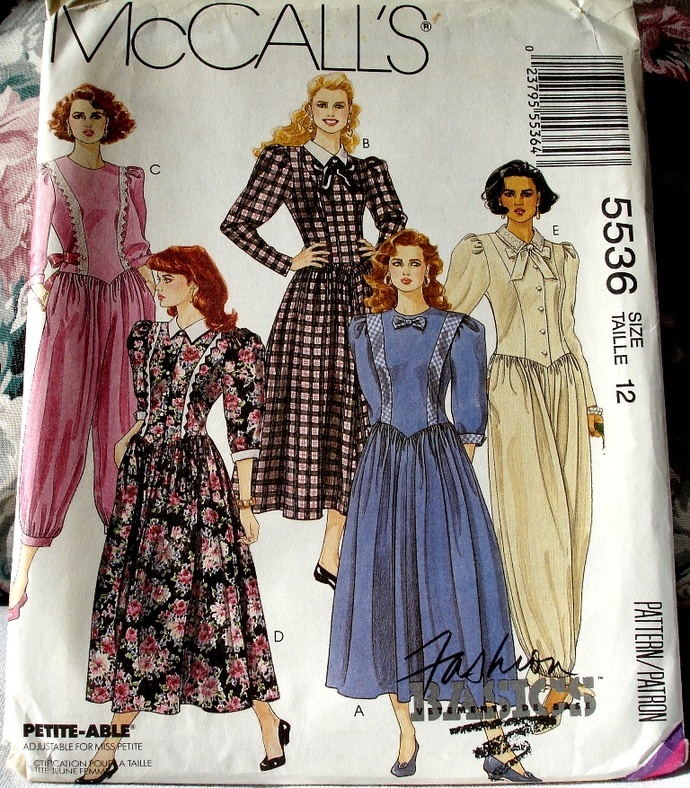 This McCall's 5536 pattern is uncut and factory folded and envelopes are in very good condition considering their age. 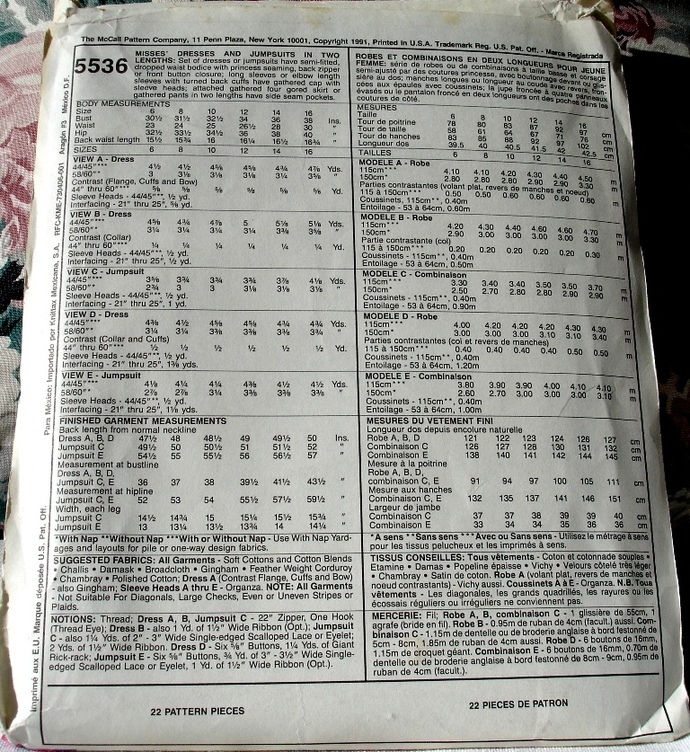 Copyright on this pattern is 1991.